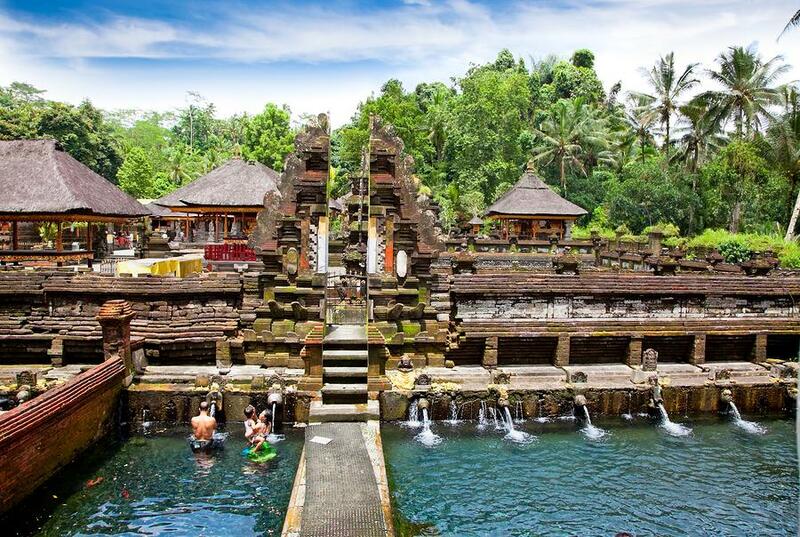 Are you ready to spend 8-days on a blissful journey of the mind, body, and spirit while exploring the magic of Bali? 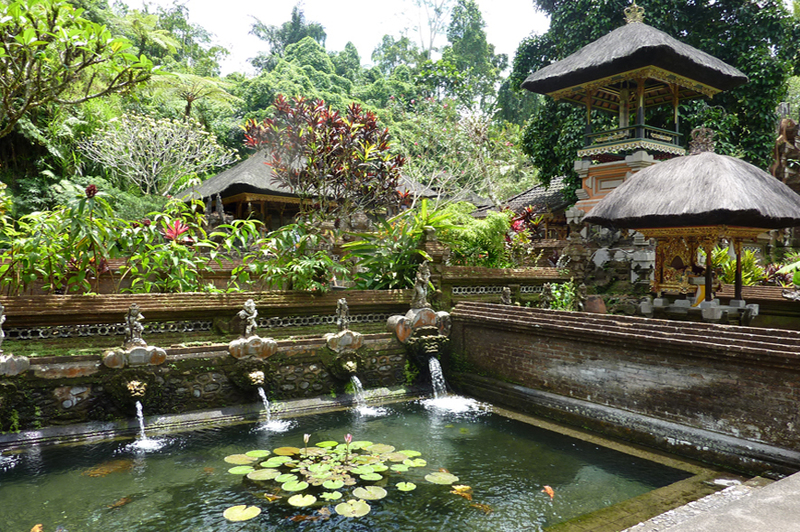 Join us for an unforgettable yoga vacation at the Ubud Yoga Centre in heavenly Bali. Practice a variety of yoga styles, explore meditation, experience the Balinese culture, and reconnect to discover a healthier, happier you. You deserve it all! This 8-day immersion, perfect for beginners and seasoned yogis alike, will allow you to leave the stresses of your daily life behind while exploring and enhancing your practice in one of the most magical, spiritual, and blissful locales in the world. 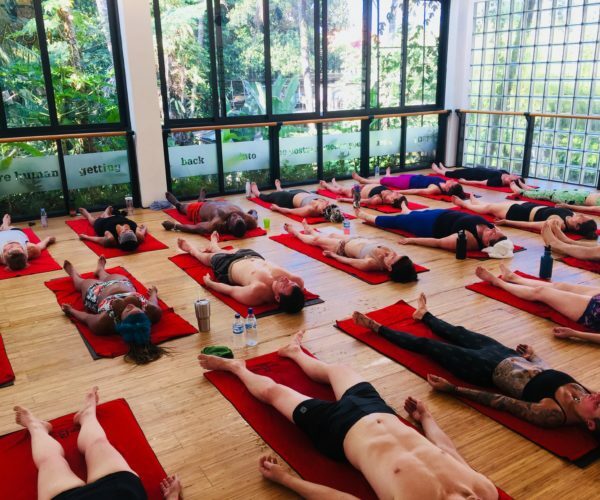 Multiple opportunities each day to practice a variety of disciplines including traditional 26+2 hot yoga series, inferno hot pilates, yin yoga, vinyasa, and meditation in our private yoga studio overlooking the jungle at the stunning Ubud Yoga Centre (mats and towels provided for each session). Posture clinics, workshops, and individualized instruction to enhance and push your practice forward. 8 days/7 nights luxury accommodations at 4-star Bali Spirit Hotel & Spa–retreat pricing starts at $1549 (Early Bird Pricing). 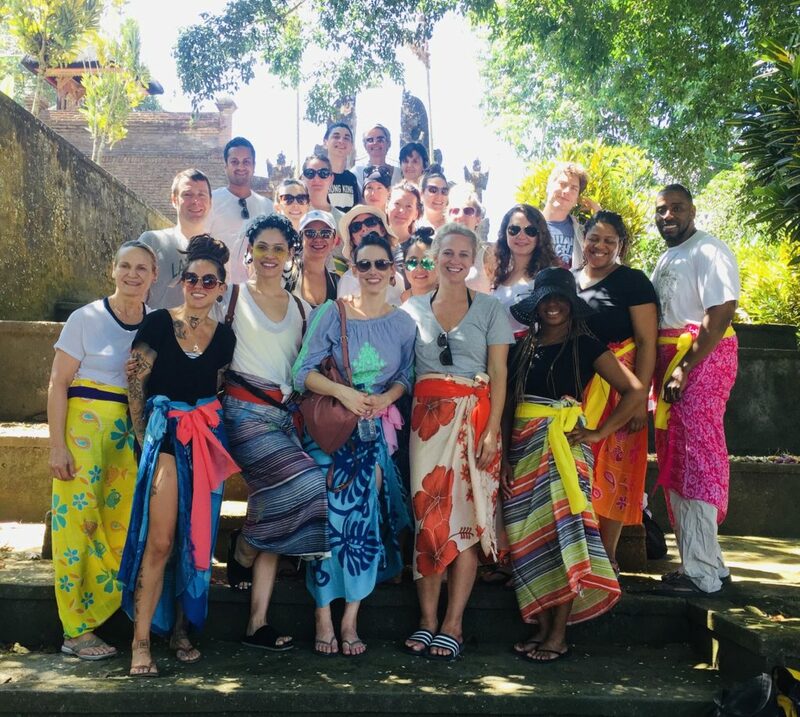 Welcome blessing ceremony, traditional Balinese purification ceremony, and transportation for group trips throughout beautiful Bali including visits to Gunung Kawi Temple, Tegalalang Rice Terrace, Uluwatu Temple, and Jimbaran Bay. Gourmet breakfast every day at the Bali Spirit Hotel & Spa, five delicious lunches at Ubud Yoga Centre’s cafe (vegan/vegetarian/raw options available), four gourmet dinners at some of Bali’s best restaurants, one fresh young coconut each day, one fresh fruit/green juice each day, and unlimited filtered water refill. Utilizing traditional ingredients and preparation methods, the opportunity to explore and learn Balinese cooking with an onsite cooking class led by one of Ubud’s top chefs. Airport pickup and dropoff from Denpasar International Airport (DPS) on arrival and departure retreat days. 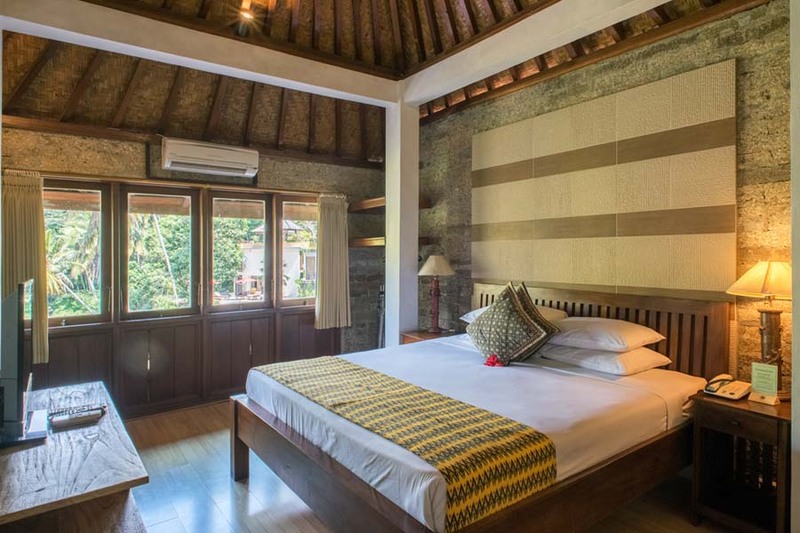 The 4-star Bali Spirit Hotel & Spa (which is just a five-minute walk to the Ubud Yoga Centre) will allow you to rest, relax, and recharge while experiencing the true spirit of Bali. Hotel amenities include: two large pools, complimentary shuttle service around Ubud, spa/wellness/massage services, meditation/yoga room, dry cleaning and laundry service, and so much more. 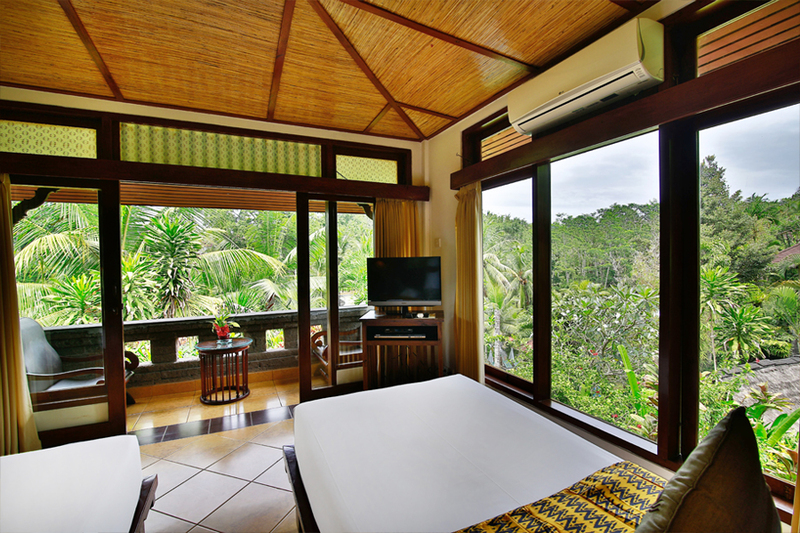 All rooms feature a king-size bed or twin beds, a balcony or patio with a view to nature, private semi-open air bathroom, air conditioning, coffee/tea, TV, minibar, free WiFi, and daily housekeeping. Retreat pricing starts at $1549 (flights to/from Bali are not included). Deluxe and Superior Rooms/Suites are available. To check availability of room types and book your once in a lifetime vacation, please contact retreat@105F.com. 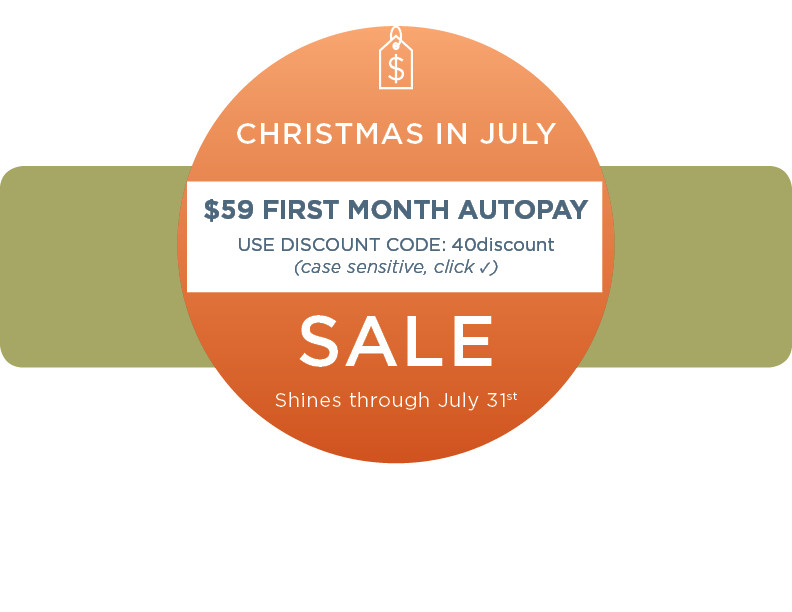 A 50% deposit is due at time of booking. Space is limited and bookings are first-come, first-served. Early Bird Pricing until July 31, 2019 (rates increase by $100 on August1). In between our yoga and meditation classes, posture clinics, and workshops we will explore everything that Bali has to offer. We will take group trips to several temples and visit the stunning terraced rice fields. We will spend an evening at Jimbaran Bay and indulge in a delicious seafood dinner on the beach. We will enjoy a performance from traditional Balinese dancers. We will learn to make traditional Balinese cuisine with an onsite cooking class. Other activities and excursions you may want to partake in include visiting the Sacred Monkey Forest or exploring Ubud's markets and museums. And please remember, everything is optional... this is your vacation! We will have a full schedule of classes, activities, and excursions lined up but we encourage you to do as much or as little as you'd like.... relaxing by the pool with a coconut in hand or treating yourself to a rooftoop massage or a foot reflexology treatment sounds like a pretty perfect afternoon too! 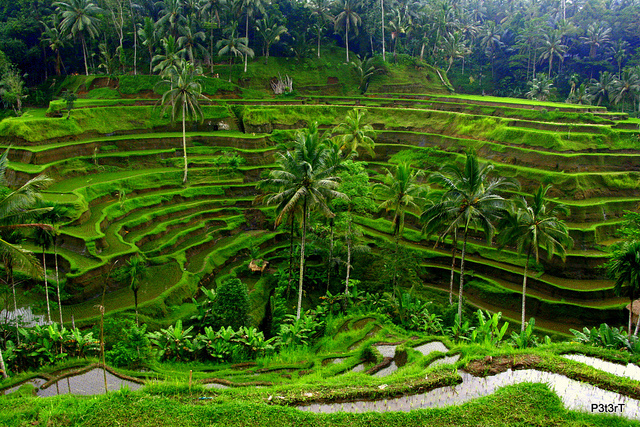 The town of Ubud is the spiritual heart of Bali and is known as a prominent yoga hub of the world. Ubud forces you to slow down, to look at life differently, and to enjoy the present moment. Rich in culture, Ubud plays host to some of Bali's most iconic landscapes and is recognized for its health and medicinal aspects. 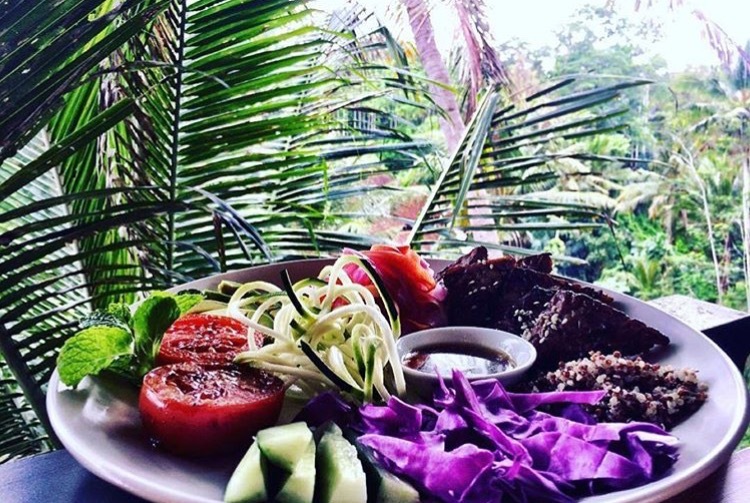 Many come to Ubud driven by the passion for healthy living. Experience the lush rain forest and jungle, the unique temples and shrines, and the magically aesthetic culture, all while making friends with some of the happiest people on earth! 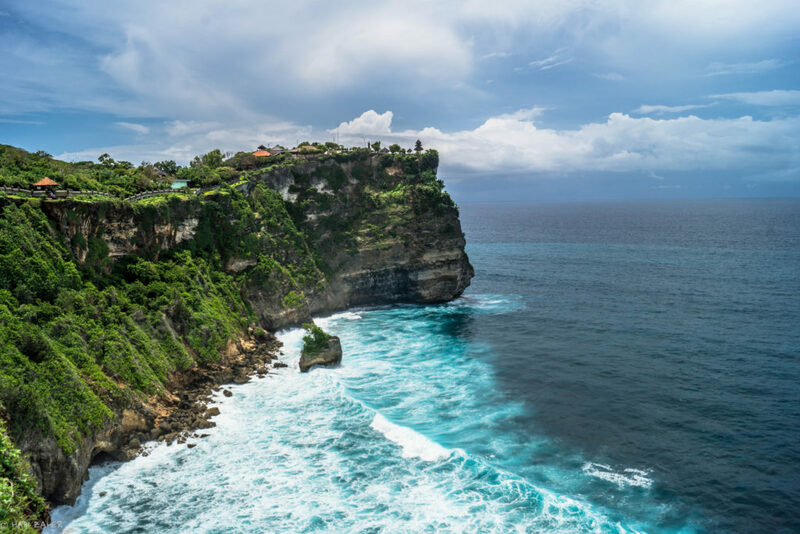 With average daily high temperatures of around 85 degrees (F), the month of October is one of the best times of the year to visit Bali. 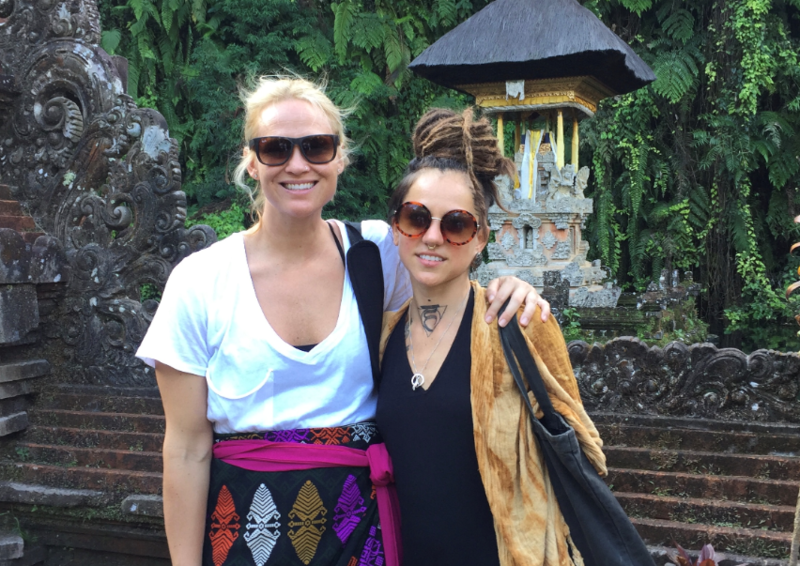 The 105F retreat in Bali with Gianna and Kiley was an unforgettable, amazing experience. 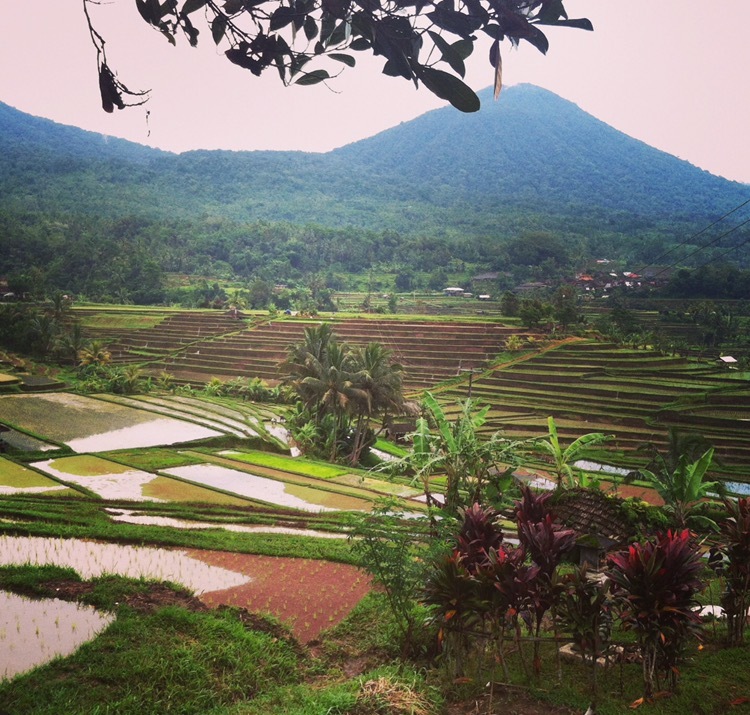 The magic of Bali, the daily yoga classes, the smiles, the fresh and nutritious food and beverages... perfection! Kiley really goes above and beyond to take excellent care of all the retreaters. Her energy is vibrant and she is an excellent leader. All the activities she planned were spot on and it was definitely hard to miss any of them. Gianna is an exceptional human being and there is so much to learn from her. I'm truly glad and thankful I was able to go on this retreat and the memories are something I will always treasure. I will definitely be attending more retreats with 105F, Kiley, and Gianna.